Orders are placed with our manufacturers the same day you place your order, if placed by 3:00pm that day. From the time you purchase one of our Wheelchair accessible Exercise Equipment to the time the product leaves the manufacturer, it usually takes no more than 1-3 days (providing the item is in stock). Normal ground delivery takes 3-5 working days. However, expedited service will greatly speed up the process. If you have purchased a product which needs custom assembly, it can take a bit longer. Depending on the manufacturer and the product you have chosen, a Custom Wheelchair can take about 4 weeks to be assembled; a custom shower chair can take about 2 weeks before the shipment leaves the manufacturer. Standard Wheelchairs in stock take about 2-3 days. Some of our Wheelchair accessible Exercise Equipment can be shipped by UPS, some needs to be shipped by a LTL Shipper, and if in stock, can be on its way in about 2-3 days. If you have ordered a product that is back order, we will inform you immediately about this situation and keep you informed throughout the waiting time on its progress. You decide if you want to wait, cancel the order or choose a different product. It’s up to you. 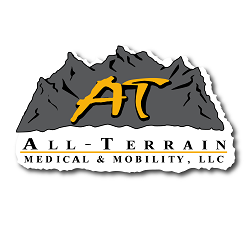 One of our main objectives is to deliver to you Wheelchair accessible Exercise Equipment at the best products at the best price, but not at all cost. We therefore only work with very reliable manufacturers that deliver products within a reasonable timeframe. Yes you can! Most of our products are being shipped by either UPS or a LTL Shipper (that is when your shipment is heavier than 150 lbs, as UPS does not allow any greater weight than 150lbs). With UPS, and for shipments that weighs under 150 lbs, the usual shipping method we recommend is Ground delivery. It takes about 5 working days to get to you, but you safe a lot of money on freight. You can also speed up your shipment to 3, 2-day, 2-day saver or overnight. If you are not sure what to choose, our check out page will help you, as it shows the different options and the shipping cost. LTL shipments, that weigh over 150 lbs, take about 2-5 days for delivery, depending where you live and how far you are away from the manufacturers shipping facility. For products that fall into this category, the freight needs to be calculated manually. Our checkout system will ask you to contact our customer service department for a shipping quote.